There is nothing more persuasive in this world than the enticing look of a puppy in a shop window looking for a new owner. But before you take the fluffy bundle home, there are some things to consider before you buy a new puppy. It sounds silly, but many people don’t realise the full extent of the costs involved in taking on a new puppy. The first year of the dog’s life involves more outlay than the rest of its life. If things are a little tight, maybe adopting an older dog with less initial costs would be better. Different dog breeds have vastly different personalities and requirements, so much so that sometimes they seem like entirely different species. It is not simply a case of bigger dogs need more space. 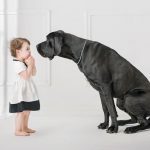 Some breeds are better with kids than others, some are more independent and happier to be left alone for long periods of time, some require more social contact with other dogs. 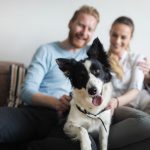 Your dog breed needs to be compatible with all aspects of your life, from space available, through to the length of time you are out of the house each day. 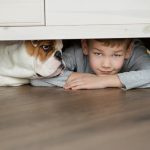 Before you bring a new puppy into the house, you need to consider how you can puppy proof your home. Do you have lots of expensive rugs which would be ruined by a puppy going to the bathroom on them? Do you have vases that can be knocked over? Would you be upset if a puppy chewed the sofa or chair leg? 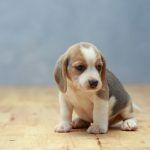 If you answered yes to any of these questions, then you should think about how you can puppy proof your home before you consider bringing a new puppy home. How would the other pets of the house respond to a new puppy around? 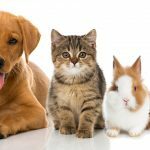 If you have a particularly defensive or aggressive cat, a new puppy around the house could be a really stressful experience. Remember that all the non-human members of the house should be involved in the decision to get a new puppy, not just the human ones. Taking on a puppy is a big physical commitment and you can guarantee your puppy is going to be a little ball of energy while it is young. This will mean plenty of walks and stimulation. Puppies also require plenty of human interaction, exposure to new smells, new sights and new experiences. This means a lot of walking and exploring the world together. If you aren’t able to dedicate the time to this, or physically aren’t able to do the walking necessary, then a puppy probably isn’t for you. Everyone is crazy about puppies because they are so cute. They don’t stay that way for long and will live a good 10 years. You are not getting a puppy, you are getting a dog you will need to care for over a lifetime. Is there anything you can add to this article, are there any other things to consider that should be on this list? Share your thoughts through the comments section below.